From MIM-104 Patriot all-altitude, all-weather air defense system to Terminal High Altitude Area Defense (THAAD) anti-ballistic missile defense system, United States have offered them all to thwart S-400 deal between India and Russia, but nothing seems to convince Indian military planners that S-400 has any possible American replacement system which could fit in and meet requirements of Indian aerial threat assessments specifically against short-range ballistic missiles which are been supplied in the neighborhood by China in the region. Americans might not able to stop India from buying S-400 systems from Russia, but India can commit that it will refrain from investing in procurement of new advanced weapon systems from Russia if, the United States agrees to let India procure some of the systems which it has been eyeing from the west but have been denied in the past. 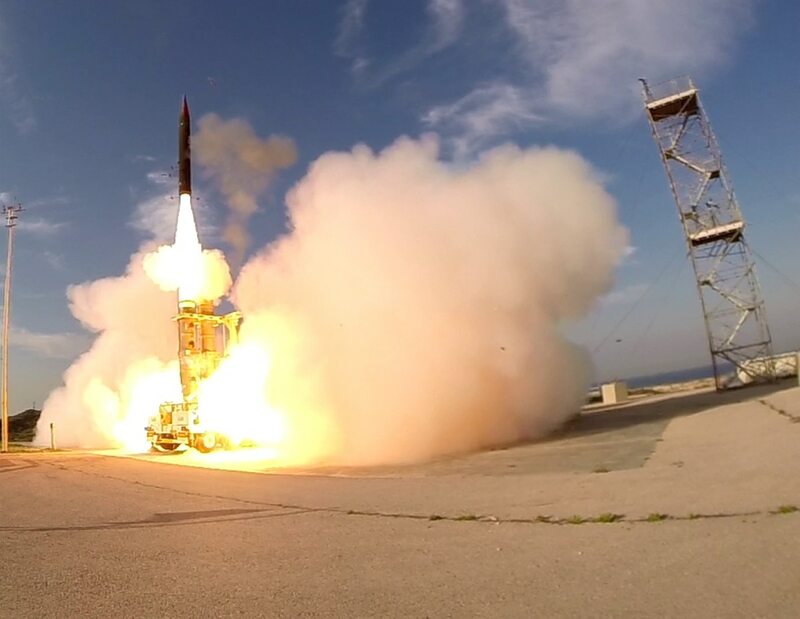 Indian military planners in past where once interested in procurement of Arrow anti-ballistic missiles which are Jointly funded and produced by Israel and the United States. India was denied access to such sensitive technology in the past due to the US Objection. but with the revolving scenario in the region for India, Indian military planners should start focusing on recent development and start thinking of new age interceptor system which can defend against much more sophisticated future threats from Pakistan. Pakistan has developed ” Ababeel “a surface-to-surface medium-range ballistic missile which has a range of 2200 km and can allegedly carry both conventional and nuclear warheads and is claimed to use multiple independently targetable reentry vehicles (MIRV) which is first in the region for India. While the military experts are not claiming that Pakistan’s have perfected the system yet, but with active assistance coming from China, it will not be long before Pakistan’s will have a MIRV Capable Missile system which can overwhelm current generation of Anti-ballistic missile defense system. Anticipating such MIRV Capable Missile system reaching in hands of Iranian though secret North Korea-China channel, Israeli have started work on Arrow-4, a new missile-intercepting system to defend against much more sophisticated threats like the specter of massive salvo strikes, sub-munition warheads, and multiple reentry vehicles, or MRV. Arrow-2 which is capable of intercepting Scud-type ballistic missiles high within Earth’s atmosphere, and Arrow-3, which is designed to destroy targets in space. Arrow-4 which is yet in the initial design phase will be developed to deal with the next generation of threats especially MIRV Capable Missile system which can evade current generation of anti-missile defense systems. Indian Ballistic Missile Defence (BMD) System currently doesn’t possess Anti-MIRV Capable Missile system and it will be at least decade away from catching up but if allowed to participate and procure Arrow-4 system from Israel, Phase-II of India’s Ballistic Missile Defence (BMD) program can continue to focus on long-range ballistic Missile threats. India is already working on XR-SAM which is 250 km long range Interceptor missile which can take down maneuverable platforms like fighter aircrafts and also possess anti-ballistic capabilities, what India needs now is to develop a Interceptor missiles system which can handle MIRV Capable Missile system.